I’ve been getting lots of question from readers asking for a hot shoe flash kit that’s lighter and cheaper than my Profoto B1 flashes. 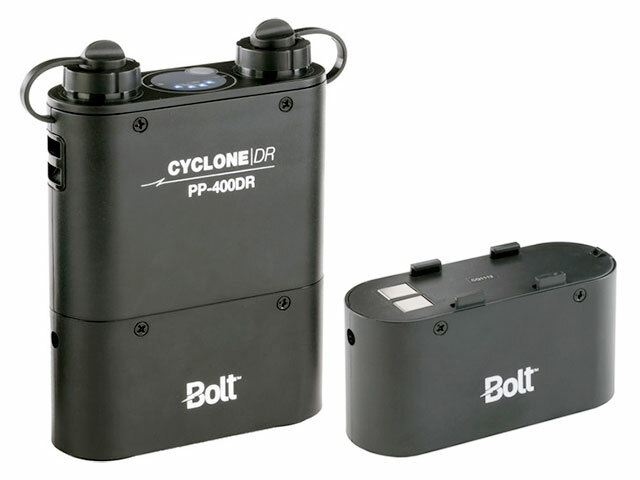 As I head off for talks and lighting workshops in Hong Kong, I’ve put together a light yet powerful kit of Bolt Bare-Bulb Flash Kits with Cyclone PP-400DR Power Packs that offer a lot more punch than standard hot shoe flashes & speedlights. Bolt Bare-Bulb flashes are the modern smaller, lighter, cheaper version of the venerable heavy-as-lead Norman 200B and 400B flashes that I used when I was starting out. These flashes because they offer a lot more punch than standard hotshoe flashes. 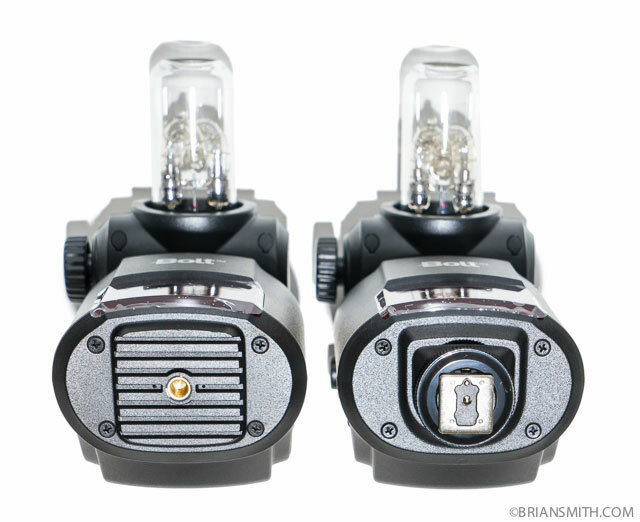 Their bare bulb is much more versatile making the heads are fully compatible with the wide range of reflectors made for Lumedyne, Quantum and Norman battery flashes. Bare-bulb flashes more effectively fill soft boxes, beauty dishes or other lighting modifiers with more even light than speedlights. 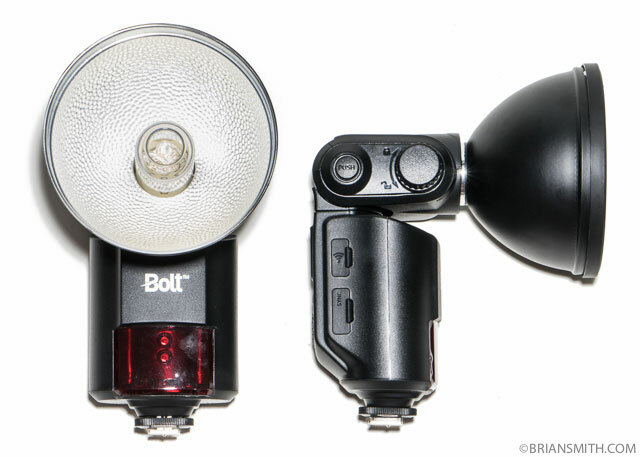 Bolt VB-22 Bare-Bulb Flash Kit + Cyclone PP-400DR Power Pack ($510 at B&H) offer 360 watt/second (Guide Number 262) output or Bolt VB-11 Bare-Bulb Flash + Cyclone PP-400DR Power Pack ($445 at B&H) offer 180 watt/second (Guide Number 196) flash output bundled with Cyclone power pack. I decided to go with a pair of VB-22 flashes Even though the weigh in at half a pound more and cost $65 more than the VB-11 – it’s worth it to know I’ve got the extra stop of power when I need it. Everything gets packed into a Lowepro ProTactic 450 AW Camera and Laptop Backpack ($250 at B&H) which makes this a great location kit for travel and location portrait photography. Rather than light stands, I’m using a pair of Elinchrom EL Handheld Boom Arms ($49 at B&H) that extends from 25-61″ allowing my assistants to position the light where I want it. 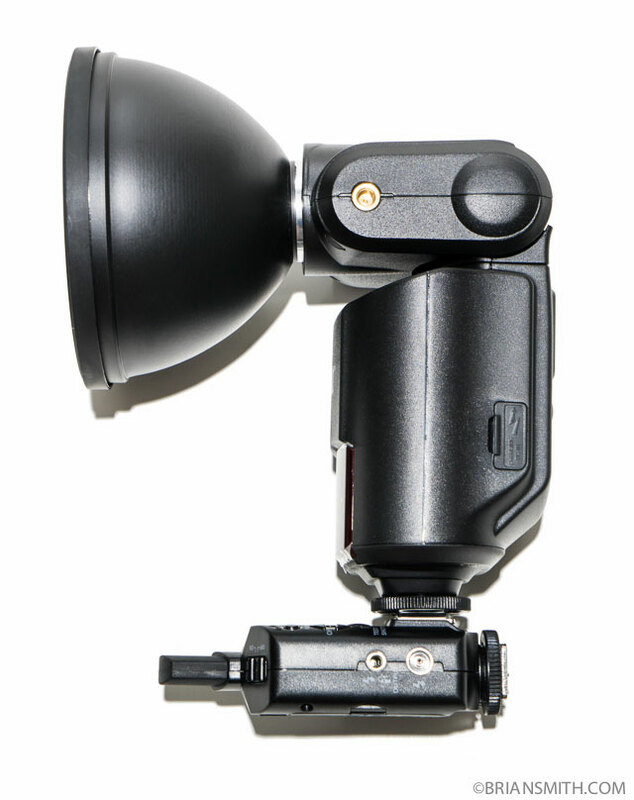 Bolt Bare-Bulb flashes come supplied with interchangeable stand and shoe mounts that allow secure attachment to either a light stand or hot shoe. They can be triggered via hot shoe, PC sync cord, 3.5mm cable, as an optical slave, or with a dedicated remote control. 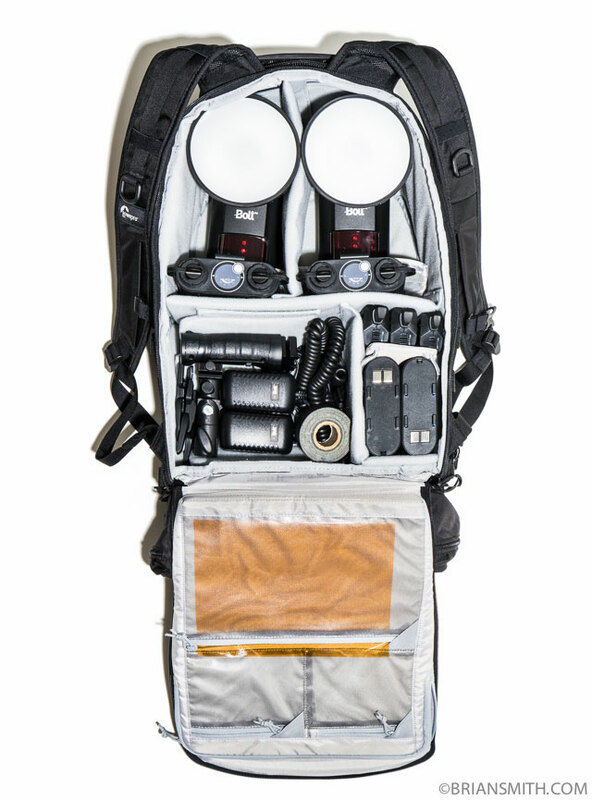 PLEASE NOTE: These packs are very light and small for their output – so when using these flashes at full power give the pack time to cool down. If you’re planning to LaChapelle away on your next fashion shoot – buy Profoto instead. 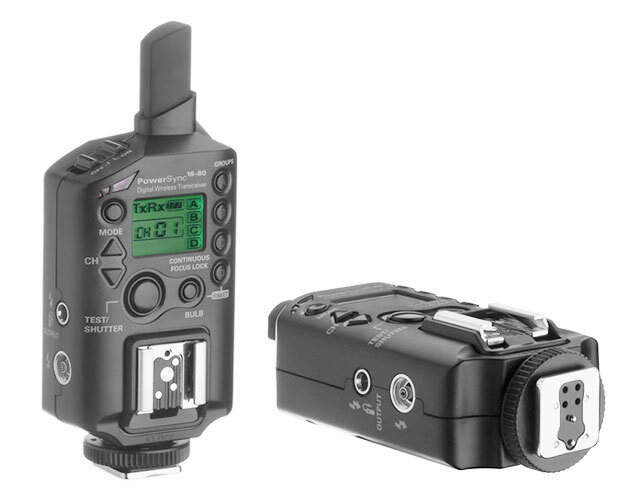 Rather than my usual PocketWizard III, I decided to try Impact PowerSync16-80 Transceiver ($100 at B&H). These wireless transmitter/receivers have 80 channels for elimination of interference, as well as 4 groups that can each handle multiple devices that can be triggered individually or simultaneously. Besides remote flash triggering with the appropriate optional cable, the PowerSync 16-80 can be used as a wireless shutter release that can focus and trigger your camera in single, continuous, and bulb modes. Impact PowerSync 16-80 is used with at least 1 other unit. One transceiver slides onto the camera’s hot shoe. 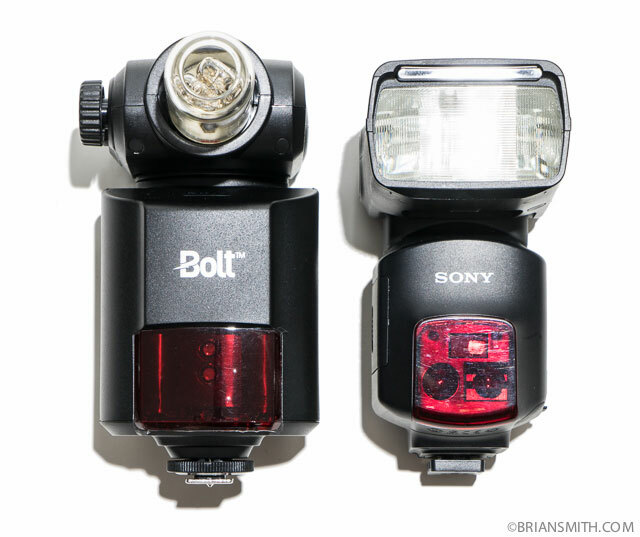 The Bolt Bare-Bulb flash foot fits into the transceiver hot shoe or attaches with a mini-plug sync cord to trigger flashes at distances up to 720′. Pro Gel Tungsten/Daylight Conversion Filter Pack 12×12″ ($23 at B&H) bundles the most useful lighting gels are warming and cooling gels together in a single kit. This kit includes one each of: Full C.T. Blue, 1/2 C.T. Blue, 1/4 C.T. Blue, 1/8 C.T. Blue, Blue Diffusion, Blue Frost, Full C.T. Orange, 1/2 C.T. Orange, 1/4 C.T. Orange, 1/8 C.T. Orange, Full C.T. Orange + .3ND, and Full C.T. Orange + .6ND in 12×12″ sheets which can be cut into quarter sheets that cover small reflectors or used in full sheets on larger reflectors. See more options for Color Correction Filters & Gels here. 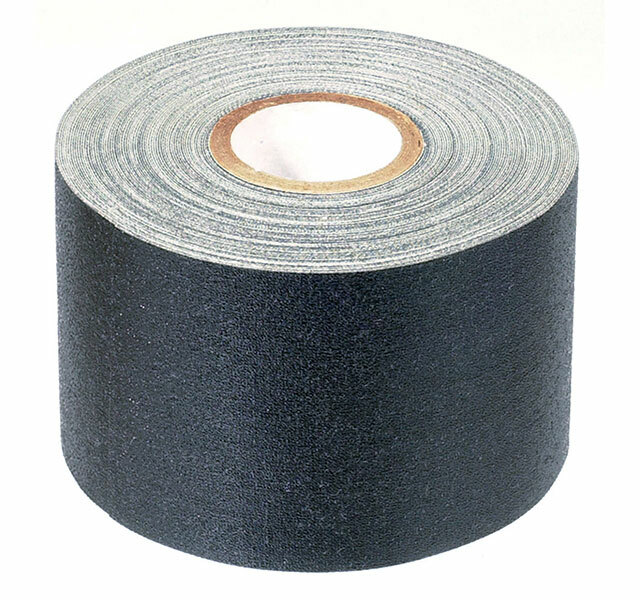 The one must-have item in any lighting kit is a roll of gaffer tape. It comes in handy for everything from attaching gels to securing lights and modifiers. I prefer ProTapes Matte Black Gaffer Tape ($6 at B&H) with 12 yards of 2″ gaffer tape that doesn’t take up much space in your bag. Also available in gray.